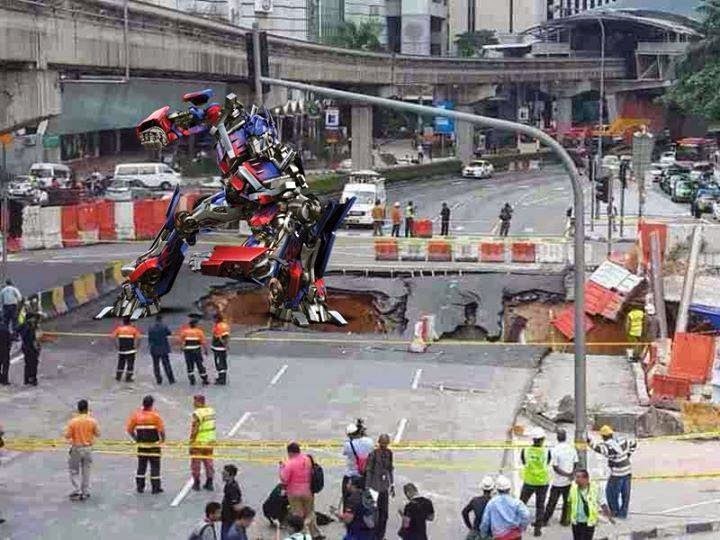 There were sinkholes in Jalan Pudu, Jalan Imbi and Jalan Hang Tuah. This is the not the main point but there are huge number of internet users who are good in making meme, made some funniest meme ever ! this is trending ! Save me Iron Man. I am stuck at this big sinkhole. 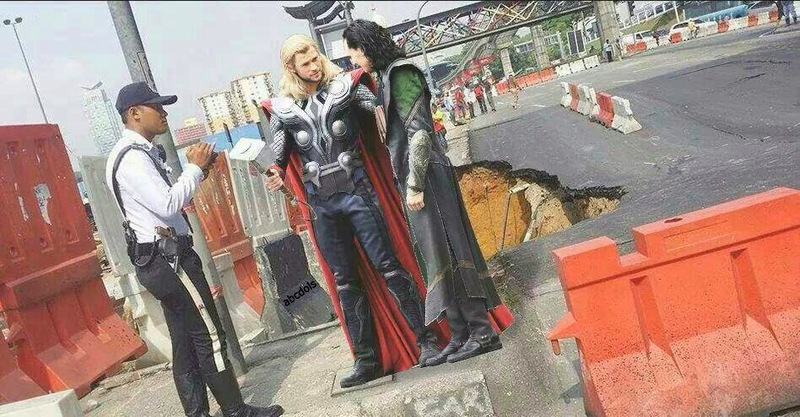 Thor : Loki, Please explain to this officer we are came from Asgard. We do not possess any human identity. 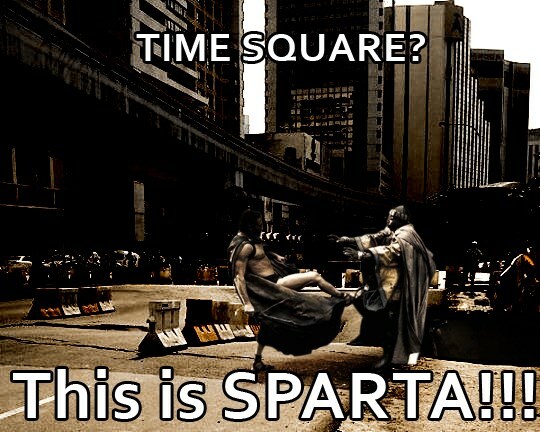 Spartan : Spartan do not negotiate, we are born to be warrior !! . Did you hear my wife said ?? only strong women born the strongest warrior. Now, stop calling women to shut up ! I am the biggest chicken and I am stuck. Did you see Optimus Prime around here ?? I am going to capture him demanded by his creator ! 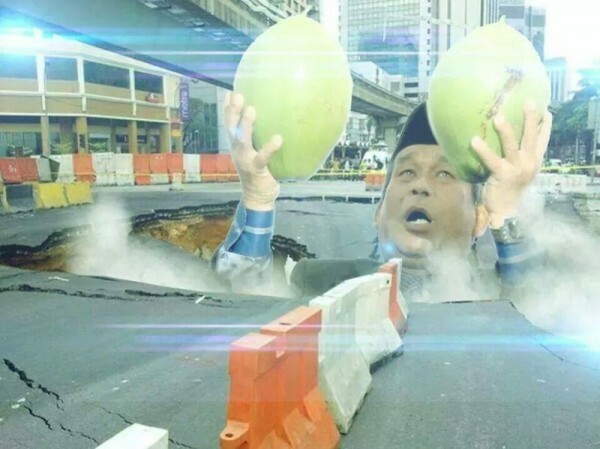 Asal kita ada buat kerja sekarang tunggu back up datang yang tak datang datang lagi ini ! I do not know who make this meme. In fact, most of the meme were not belong to me. This man who created this make fun of him ! Optimus Prime : Human, what have you become ?? Hunting Autobots and make experiement on them .I am demand an explanation from your leader !! 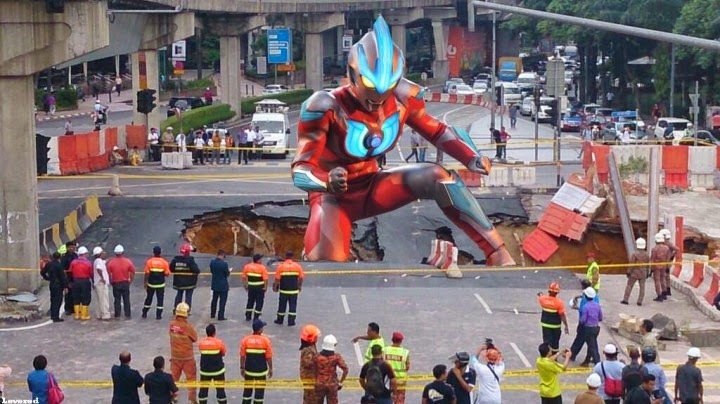 Ultraman : I sense a Godzilla is around here. I must send them back where they belong ! This will be a glory fight watched by you guys. Although I am banned to come here but I will use my ultimate power with the gesture of holy cross power to crucify enemy !